I'm posting four photos for now. I will add more later. 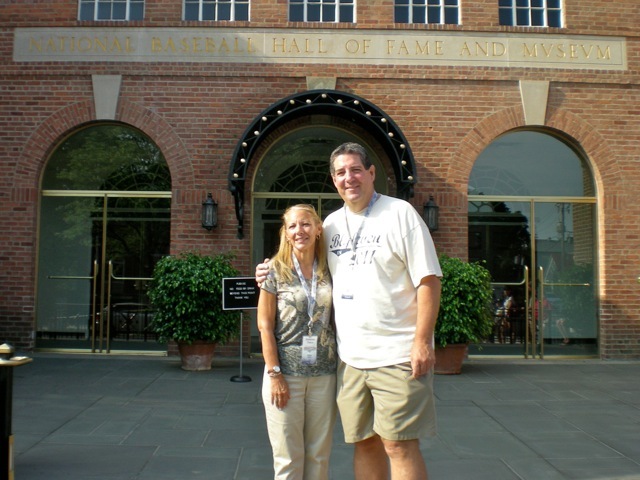 My wife Barbara and me standing in front of the National Baseball Hall of Fame and Museum Saturday morning. 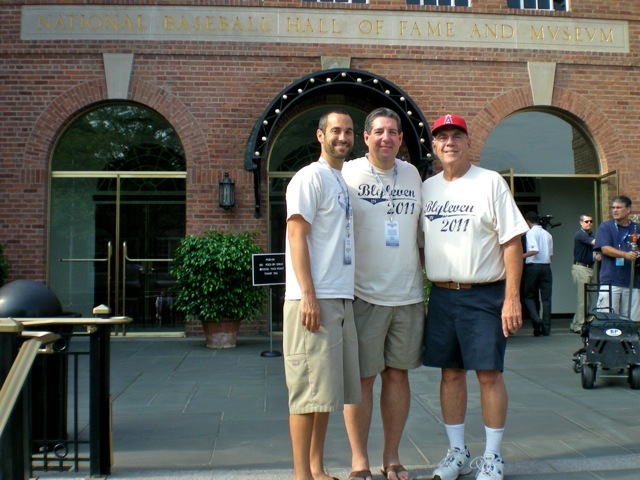 Here I am in the middle with my son-in-law Joel on the left and brother Tom on the right. 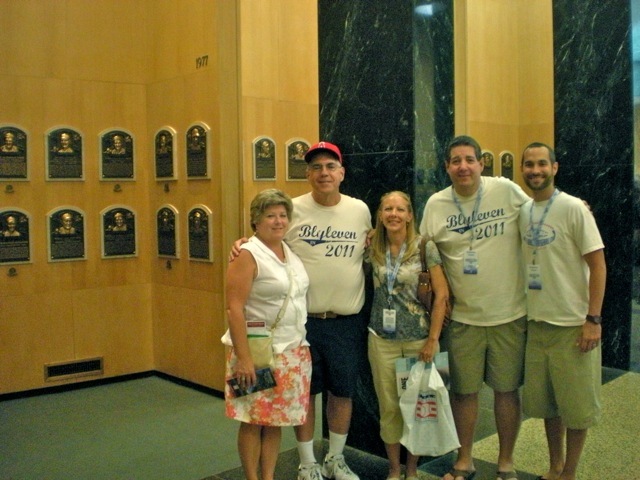 Jeannie, Tom, Barbara, me, and Joel in the Plaque Gallery. 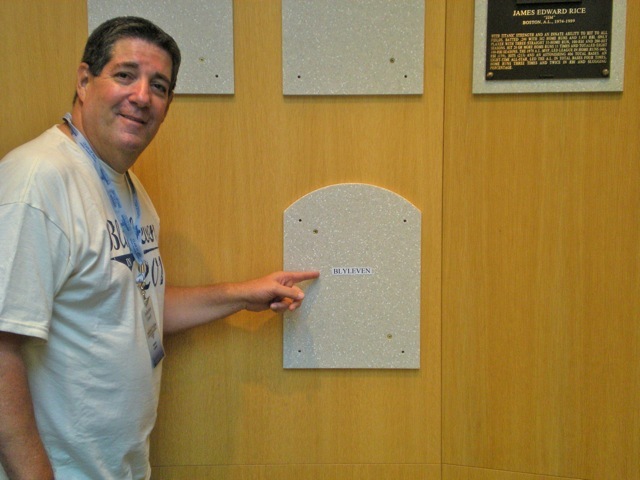 I'm pointing to the spot where Blyleven will be enshrined in the Plaque Gallery forever. After spending the morning and early afternoon at the Baseball Hall of Fame and Museum, we're now heading to the Awards Presentation at Doubleday Field. Check back for more photos and stories late this evening or early tomorrow morning. What a beautiful family! Everyone looks like they are having a fantastic time- can't wait to see more pixs and read about the induction tomorrow.